Fans around the world adore the bestselling No. 1 Ladies' Detective Agency series and its proprietor, Precious Ramotswe, Botswana's premier lady detective. In this charming series, Mma Ramotswe-with help from her loyal associate, Grace Makutsi-navigates her cases and her personal life with wisdom, good humor, and the occasional cup of tea. 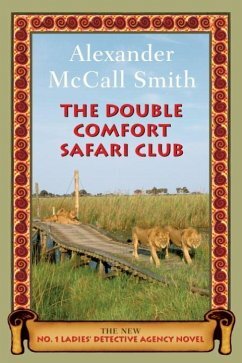 In this story, Precious Ramotswe deals with issues of mistaken identity and great fortune against the beautiful backdrop of Botswana's remote and striking Okavango Delta. Mma Ramotswe and Mma Makutsi head to a safari camp to carry out a delicate mission on behalf of a former guest who has left one of the guides a large sum of money. But once they find their man, Precious begins to sense that something is not right. To make matters worse, shortly before their departure Mma Makutsi's fiancé, Phuti Radiphuti, suffers a debilitating accident, and when his aunt moves in to take care of him, she also pushes Mma Makutsi out of the picture. Could she be trying to break up the relationship? Finally, a local priest and his wife independently approach Mma Ramotswe with concerns of infidelity, creating a rather unusual and tricky situation. Nevertheless, Precious is confident that with a little patience, kindness and good sense things will work out for the best, something that will delight her many fans. Alexander McCall Smith is also the author of the Isabel Dalhousie series, the Portuguese Irregular Verbs series, and the 44 Scotland Street series. He is professor emeritus of medical law at the University of Edinburgh and has served on many national and international bodies concerned with bioethics. He was born in what is now known as Zimbabwe and taught law at the University of Botswana. He lives in Scotland. 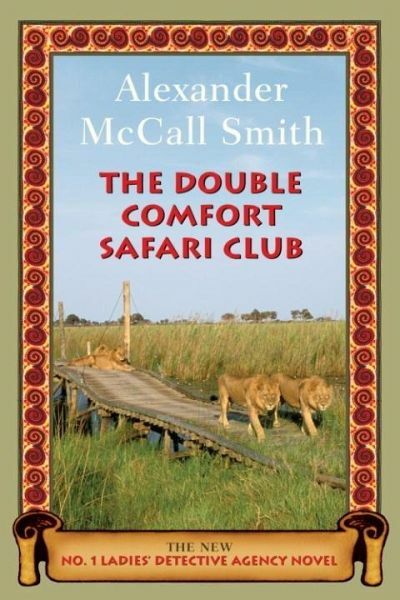 Visit his website at www.alexandermccallsmith.com.